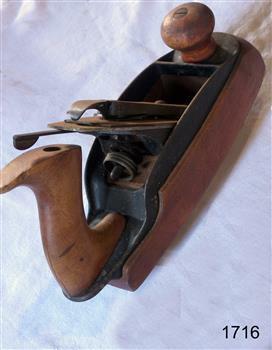 Plane Jack type maker Stanley Rule & Level Co No 36, with 2 ½ inch iron, wooden base, handles and iron frame. Wood varnished, basic body black enamelled. Funded by Department of Employment. Giving local versions of fruit growing industry. Historical record. Work for dole project supervised by Soc Hedditch. 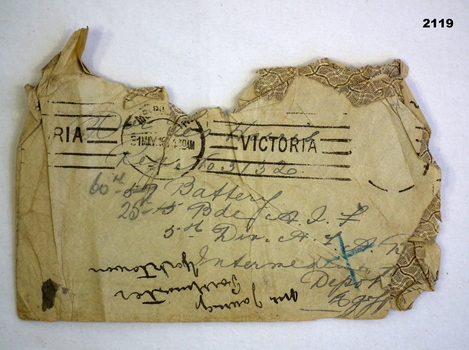 Yellowed & torn envelope stamped Victoria, date appears to be 31 May 16. 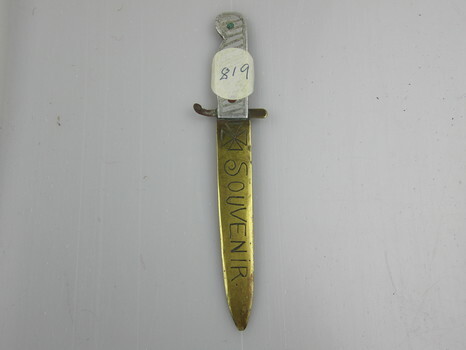 Addressed to Regt No 3132, 60th / 57th Battery, 25th BAE, 5th Div AIF. Intermediate Depot Egypt. Property Review Weekly newspaper articles, dated 25/10/02 and 04/10/02, includes 3 colour photographs. 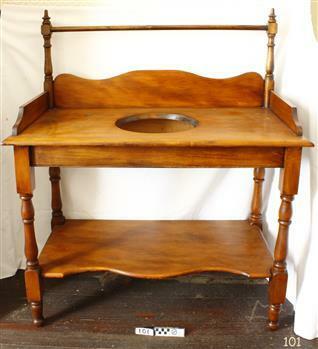 Article gives brief description of house interior and remaining period features. Renovation updates and exterior features. 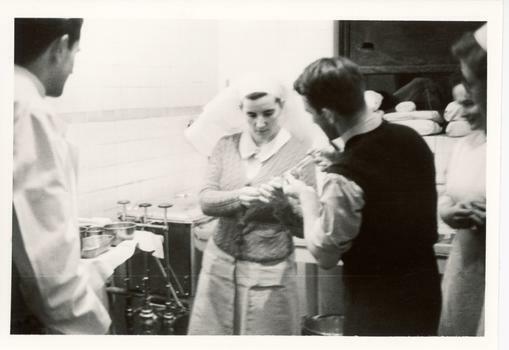 Arthur Douglas was born in Ballarat on 19 November 1929, and received an Associateship from the Ballarat School of Mines in Electrical Engineering in 1953. 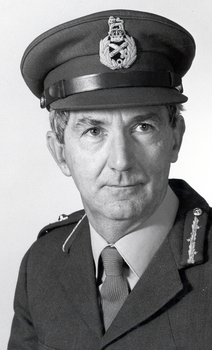 He was appointed Chief of Supply in the Department of Defence, Canberra, in 1982. Railway Yards Stawell looking towards Napier Street from Wakeham Street. Water tank at right of photo. 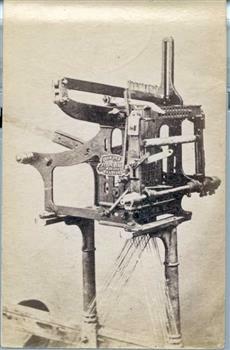 Photograph, sepia, of a "David Sowden & Sons" loom attachment, which has been threaded with yarn. Photograph probably for promotional purposes, of part of a "David Sowden and Sons" loom attachment. 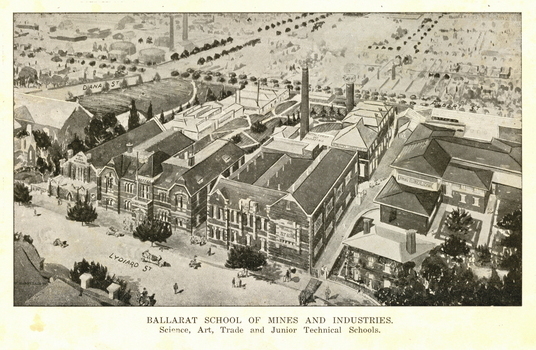 Photograph was with other photographs in an envelope printed "David Sowden & Sons", among items from Yarra Falls Mill. Accompanying sheet reads as follows, "Shows a goods train arriving from either Croydon or Bayswater, probably the former. 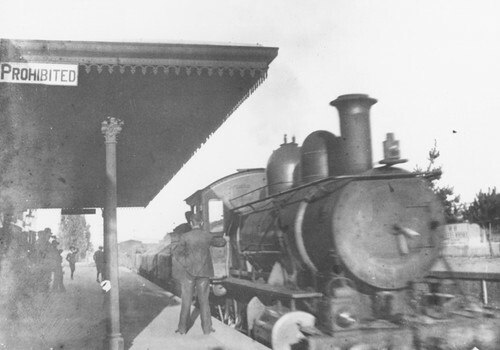 The Stationmaster is holding up his hand to take a large electric staff indicating that it was taken between 1899 and 1912. The signals also indicate that it was taken before 1912". 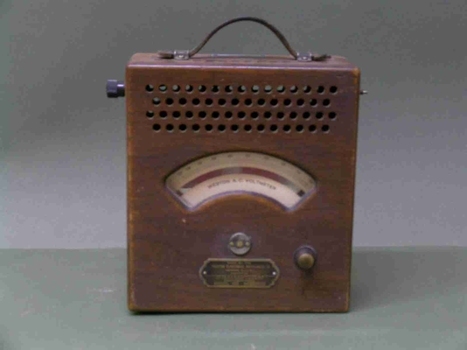 A.C. Voltmeter, 150-600 volts non liner, semicircular scale ventilation holes. One termnal post on each side panel. Maker's name plate on top face below scale windo. Adjacent: spring-loaded contact button. 6. War Memorial: Unveiled 1925. 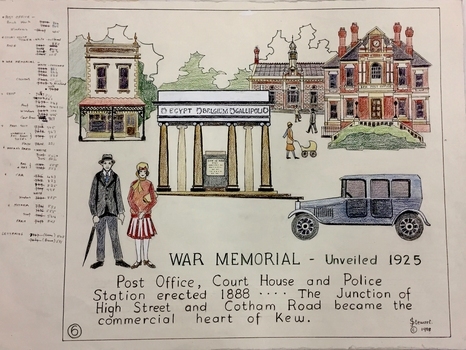 A Handcoloured cartoon created by the artist Joy Stewart as a template for the sixth of a series of embroidered panels depicting the history of Kew. Wool colour codes at left. Inscription: "WAR MEMORIAL: Unveiled 1925. Post Office, Court House and Police Station erected 1888. ... The Junction of High Street and Cotham Road became the commercial heart of Kew." 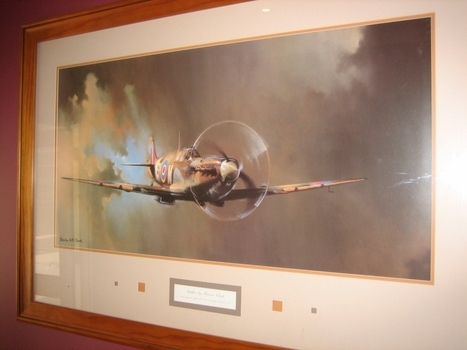 Signed by the artist "(c) JStewart, 1988"
Photo - Ryan. - Councilor M.Ryan J.P.1911-12. Sepia photo,oval in shape,of Councilor Matthew John Ryan J.P.Set in pinkish/tan mount with some decorative features surounding photo.It is on left side of middle row of collection of photos of all councilors for 1911-12. 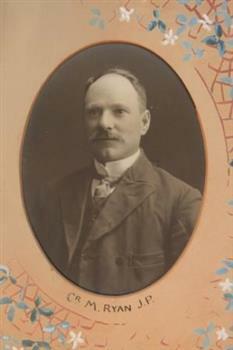 Presented to the Ballarat Shire Council.J.Dickie Esq.J.P.President, 1911-12. A 68 pp magazine with a paper cover - back cover only - which is olive green in colour with black print. It is titled " The Gap 1922". It contains advertisements, school happenings, b/w photographs of historic events. This is the third annual edition of this magazine. 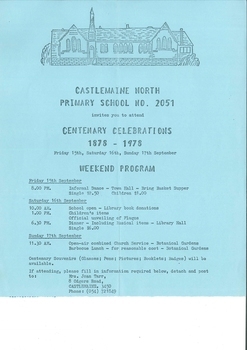 The first edition of this magazine was produced by associated elementary schools in the Omeo Shire. The magazine was published from 1920 to 1927 and 1963 to 1969. There was a special issue in 1985. In all issues there is writing by children from schools that have since closed down. This item reflects the changes in education in East Gippsland and is a useful comparison tool for literacy teaching. It also has historical articles for research. 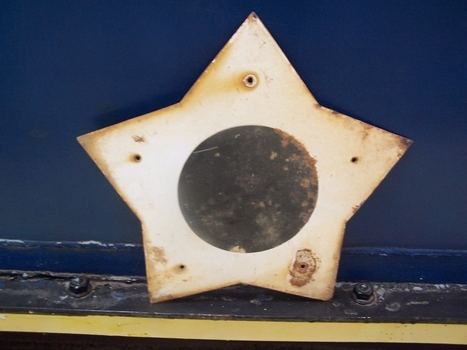 Victorian Railways - Terminal stop Board - End of electrification sign This ‘star’ sign signified that beyond this object there was no further powered overhead to operate on the Melbourne suburban rail network. 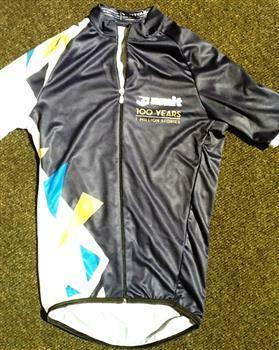 Predominantly navy and white TShirt with NMIT Centenary Logo on front and back. d.&e. 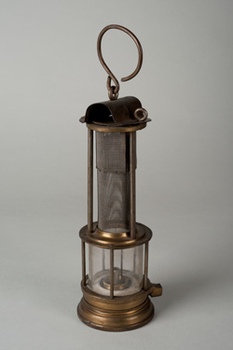 Davey Lamps. Bonnetted and Clanney types. Wards beds in one view. 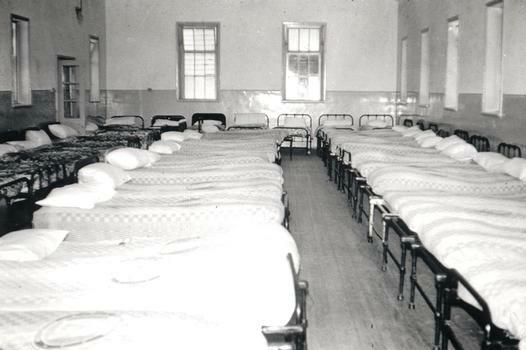 One row of 7 beds along the backwall and there are three rows of beds running the length of the room. 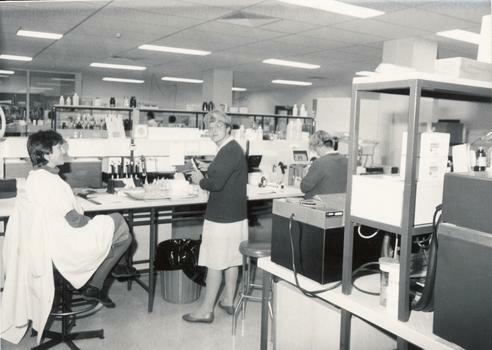 The original photo is part of the photo library of the Mental Health Library, which late in 1999 was transferred to the Royal Melbourne Hospital. Copying of photo was by the photography department of the Royal Children's Hospital in Parkville. "A Material World: fibre, colour and pattern" - Powerhouse Museum, Sydney, 1990. 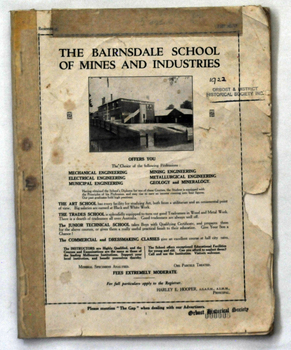 Catalogue from an exhibition of the same name held at the Powerhouse. Primarily an overview of the main aspects of the Powerhouse textile collection. Year 4J, 1996. First Row: Leigh Shani, Emily Goldbloom, Stefan Himmelhoch, Kara Landau, Jonathan Zimet, Megan Goldsmith, Leah Crossman. Second Row: Liam Getreu, Nic Krasnostein, Tali Klepfisz, Jessica Cohen, Ilan Werbeloff, Guy Roseby. Third Row: Rachel Engel, Karen Czarny, Jonathon Encavey, Jonathon Shandler, Jessica Krulis, Ryder Susman, Carly Bogatin. Fourth Row: Talia Mazor, Tobey Hofman, Ashley Cohen, Vanessa Blode, Nikki Ger. 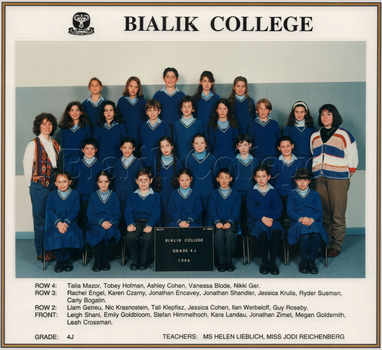 Teachers (second row): Ms Helen Lieblich, Miss Jodi Reichenberg. 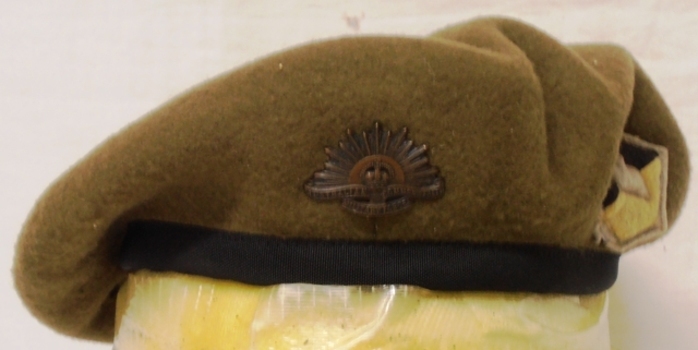 Engraved " Souvenir" "World War"
Khaki heavy cloth beret with 'Rising Sun' badge and 13th Armoured Regiment colour patch. In August 1940, 13th Light Horse (Gippsland) converted from horse to mechanised initially as 13th Motor Regiment then 13th Armoured Regiment. Trained in Victoria and as the Japanese threat to the mainland declined the regiment was disbanded in October 1943. This object is well provenance and, in its condition and completeness, is a fine example of unusual headgear worn by Australian armoured corps soldiers in World War 2 (39-45).